When you’re dealing with the pain of a temporomandibular disorder (TMD), everyday tasks can be challenging. Proper dental hygiene, especially brushing and flossing, can be difficult when it hurts to open your mouth wide. In particular, being able to reach the back teeth may not be easy when your jaw is causing you pain. With TMD, sometimes choosing the right toothbrush can make a difference in your symptoms and make dental hygiene easier. If brushing your teeth is taxing your jaw muscles, try a smaller toothbrush. Many adult brushes come with compact heads that are smaller than full-sized brushes. If that’s still too large, there’s nothing wrong with trying one of the many children’s toothbrushes on the market. The size of a smaller brush may be just what you need to reach those back teeth with ease. Whichever brush you choose, look for “soft” or “extra soft” bristles listed on the package. There’s no need to use medium bristles, which can be too harsh on enamel and gums and may increase tooth sensitivity. Many electric toothbrushes have small, compact heads that can not only reach the back of your mouth more easily but can help you remove more plaque and tartar when brushing is difficult. Electric brushes do a very thorough job of cleaning with less time, and therefore less opening of the jaw. The oscillating and/or rotating action of the brush can reach the back teeth easily. Look for one that has a small head and that has pressure control and/or a gentle setting so it doesn’t brush too aggressively. Getting your back teeth clean doesn’t mean you have to strain your jaw and open it as wide as possible. In fact, you’ll probably have an easier time reaching all the areas of the teeth if you keep your mouth relaxed while brushing. This will also reduce strain on your temporomandibular joint (TMJ). When you’re brushing, focus on breathing in and out slowly and keeping your jaw and facial muscles as relaxed as possible. If your TMJ is really irritated, you can take brushing breaks if needed. 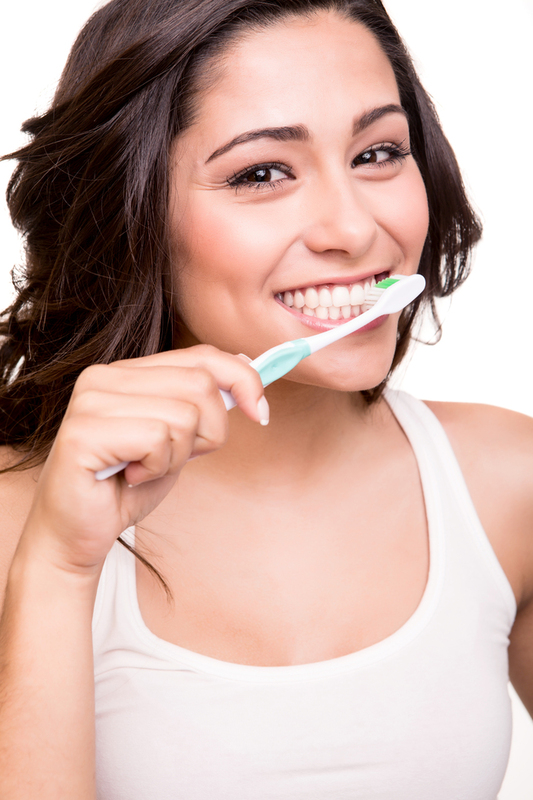 Brush for a few seconds, focusing on a few teeth, and remove the brush and relax your jaw. Repeat as needed until the job is done. Although TMD can make proper dental hygiene challenging at times, it’s still important to brush and floss daily to keep your teeth healthy. If flossing is difficult, look into floss holders or interdental brushes that make it easier to reach back teeth. You may want to consider using an antiseptic mouthwash as an “insurance policy” to remove any lingering bacteria from your teeth. Finally, see your dentist for a cleaning every six months. Is your TMJ pain interfering with your dental hygiene and your life? Contact MedCenter TMJ to schedule your appointment so you can get back to living without jaw pain!